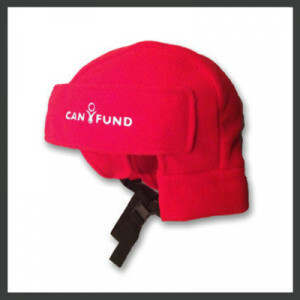 Stay warm this winter in your CAN Fund Hockey Helmet Toque while supporting Canadian athletes. Great for the ultimate hockey fan. Features: Ear flaps can be worn up or down depending on temperature. Also, includes adjustable chin strap.